Charles Lyell originally wanted to become a barrister, but due to poor eyesight he pursued science, the thing he was truly interested in. After he decided to pursue science he became a member of the Geological Society and went on to author The Principles of Geology: Being an Attempt to Explain the Former Changes of the Earth's Surface, by Reference to Causes now in Operation. This series of volumes documented Lyell's education, credentials, observations, and life's work. His key concept, which was the central argument and theme in this series, was the present is the key to the past. Charles Lyell originally believed that the action of the sea, earthquakes, rain, and volcanoes were able to explain ancient times' geological history. He rebelled against current geological theories of the time. He believed that the geological theories of his time were based on a book of Genesis interpretation and that the theories were biased. It is for these reasons that he created Lyell's principle of geology. 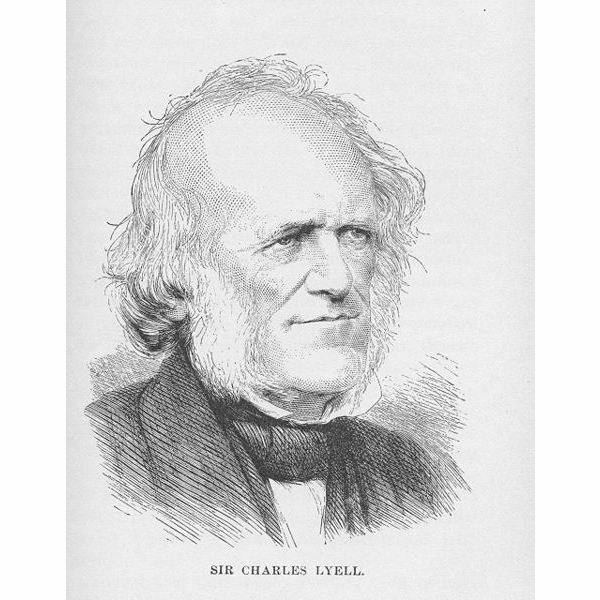 Lyell's principle of geology revolved around a variety of interests including geological surveys, uniformitarianism, volcanoes and geological dynamics, glaciers, stratigraphy, and evolution. He felt that geological surveys had the potential to provide information about mapping a country's natural resources. Because Lyell endorsed geological surveys, he helped to propel the oil, coal and other modern extractive industries. Uniformitarianism is simply defined as the philosophy of naturalism. Lyell proposed four different ideas and these include uniformity of law, uniformity of kind, uniformity of methodology, and uniformity of degree. Because of Charles Lyell's work, the geological dynamics were understood by the destruction they produced. One of his contributions was explaining what caused earthquakes to occur. He also concluded that volcanoes were gradually built as opposed to being up-heaved as was previously thought. Lyell proposed that erratics could have been transported by glaciers. During times of global warming, the polar regions' ice would break off and float across the continents submerged in water carrying debris along with it. The field of stratigraphy contained Charles Lyell's most important work. During his time traveling from the south of France to Italy, with Roderick Impey Murchinson, he concluded that current rock layers (strata) could be classified by the proportion and number of marine shells secured within. Based on this proposal, he further proposed that the Teriary period be divided into three parts that he referred to as Pliocene, Miocene, and Eocene. Lyell wasn't very open about evolution in public. He was doubtful that species were mutable. After he befriended Charles Darwin, he became a little more open to evolution, but he was still reluctant to accept it publicly. He struggled to accept due to his religious beliefs. He had a particularly hard time believing in natural selection, but he eventually did and wrote about it in his tenth edition of Principles.